This nation plunged headlong into nuclear research in the 1940s, followed in subsequent decades by production of thousands of nuclear warheads, construction of nuclear reactors and other radioactive devices used in hospitals and manufacturing. Throughout, everyone involved has confronted a nagging question: Where will all this radioactive waste be permanently stored? No state wants such a sensitive and dangerous site. What region isn’t vulnerable to earthquakes, floods, fires or other potentially catastrophic events? With the inventory of waste continuing to rise, the only option has been to store it in temporary facilities around the country. That’s not a solution. This waste has to go somewhere. If Waste Control’s facility northwest of Midland-Odessa is the nation’s best answer, then let’s have that discussion. Waste Control’s appearance of stealthily imposing a bigger footprint is cause for public skepticism. When Waste Control sought a license in 2007, three members of the Texas Commission on Environmental Quality resigned rather than be party to it. The site sits atop the Ogallala Aquifer, and any radiation leak could risk contaminating a major water source for eight states. Waste Control maintains that the facility is state of the art, with multiple backup measures to avert accidents. What once was a two-state pact to house low-level waste now involves dozens of states. 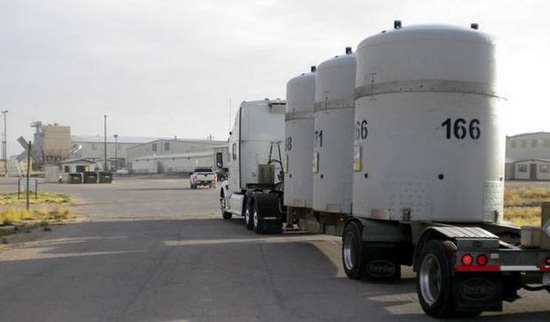 Waste Control is in talks to start receiving higher-level waste, including depleted uranium, at the same time it wants to triple the site’s size. Yet it wants to reduce the amount of money it is required to keep available if a disaster leads to large-scale liability claims. Texans deserve to be part of this important discussion. But they can’t participate if they don’t even know it’s happening.